April 21, 753 BC and we are still having a party. 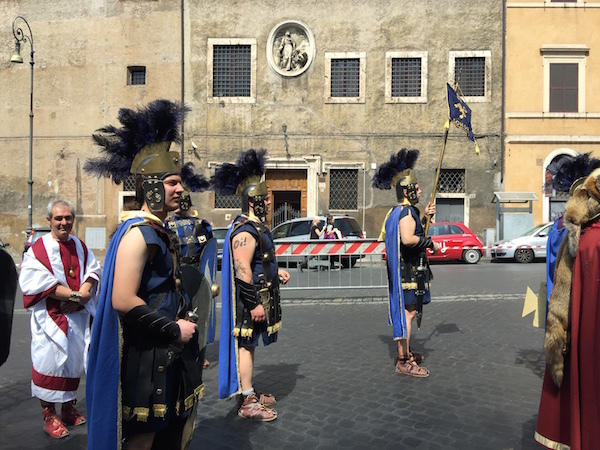 Welcome to the rank and file-- legions, emperors, entertainers and barbarians as they marched through the city to celebrate the Natale di Roma (founding of Rome). For a whole other look at the festivities, please check out my photo-based story on Huffington Post and visit my #bbclocalite features on Rome for BBC Travel. And if you want to hang with a legion, check out Gruppo Storico Romano. As a #BBCLocalite, I have a lot of fun sharing my photos, tips and thoughts on Rome on Twitter and Instagram. I had the chance to get out from behind the small screen for a great question and answer session about visiting Rome for BBC Travel's #AskaLocalite . Let me know how I did! I am proud to be part of a great team of journalists, bloggers and social media influencers as BBC Travel's Rome #bbclocalite. For the next few months, I will be sharing 21st century Rome through my eyes on BBC Travel's Instagram and Twitter profiles. We have a great team in London, New York, Munich and Paris, all ready to share our cities with you. 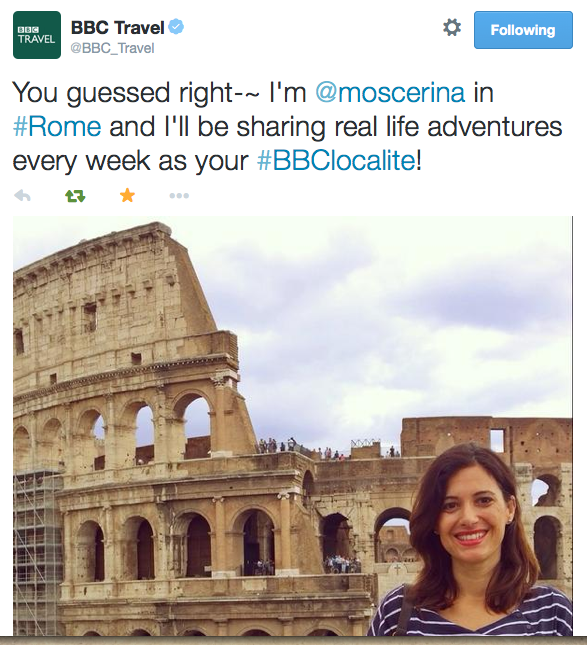 Just follow the tag #bbclocalite and make sure to reach out to say hello! Sometimes I feel I am constantly rubbing my eyes to remove yesteryear's grimy patina from a Rome that I know exists in the 21st century. Rome will always be, at least for now, the Rome of contradictions, attitude and inane traditions, but sometimes I think she wants more. The landscape is changing, both physically and emotionally, which means everyone is going to have a complaint and everyone will have something to celebrate. I take the latter, and that's what I like to write about. Here are my latest pieces: BBC Travel "Rome's new architectural renaissance" and Huffington Post's Friday Night Lights: Eataly Rome.